Induji Technologies Pvt Ltd is a reputed android app development company in India. In the present world, most smartphones have Android platform which denotes the importance of having Android application for online business. Being a leading android app development in India, we ensure in providing top quality android application for the expansion of your business. Our trained android application developers will evaluate your exact requirement and then deliver top notch solution only for you. 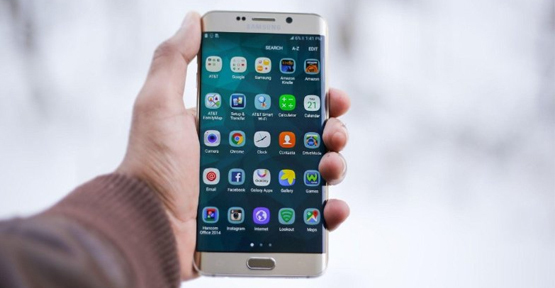 We are proud to deliver Android application across different sectors such as Social Networking, eCommerce, Finance, Travel, Broadcasting and much more. We will help our customers fulfill their dream at a price that keeps smile on their face. Avail native apps for the startups, small and large businesses. Leverage Android to accesses mainframe systems and attain BYOD. Deliver push notifications, information to users and get better engagement. Efficient team of mobile testers to create the perfect Android app. Dedicated team for the Android apps. Know whether Android is the right platform for your mobile app. Get the best resources for all your projects. Get in touch with us to discuss about your business requirements today! At Induji Technologies, we provide Android app development services and solutions for your business value, ROI for your venture and win over your competitors. Our qualified Android app developers possess in-depth knowledge in creating Android mobile platform and experience in leveraging Android Native Development Kit (ANDK), Android Software Development Kit (ASDK) APIs, debugging and emulator resources to develop robust apps that support several devices like smartwatches, tablets, Auto and TV. Why choose us as your Trustworthy Partner? Our Android app development starts from small utility apps to Android solutions for higher business level. mCommerce app development is the perfect solution to sell your products and services. The application should be designed in a way that it is flexible, convenient and relevant focusing more on user experience. Social media application is the latest trend when it is about giving your popular brand the ultimate wings to fly. Businesses have always felt the need to get connected with customers for developing a strong relationship with them. Enterprise application help your organization in solving all kinds of business related problems. They have been made to integrate with other apps for internal and external processes. This kind of application is very complicated than small business or individual apps. Fitness app enables you to contact fitness trainers, gyms and athletes who have been into this profession for years. iBeacon App is a wireless device that provide signals to smartphones and tablets. Mobile apps can get this signal and activate based on location preference. App QA/Testing service is conducted to know about the performance, speed, reliability, ease of usage, connectivity, security and anything needed. We are committed in providing great service and maintain long term relation with our clients. We will continue to improve our products and services for the growth of our business.